Beautiful Day - Beautiful Wedding and Reception! 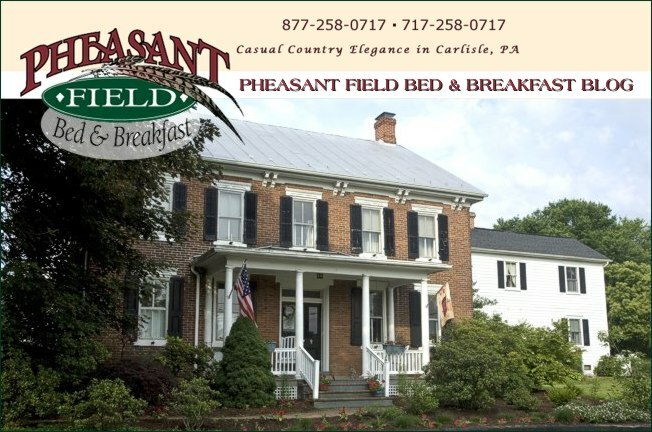 Yesterday Ashleigh & Jeff were joined in marriage here at Pheasant Field B&B. The weather was perfect. The bride & groom are a beautiful and fun couple! And the 276 guests had a good time and enjoyed wonderful food provided by Rillo's Restaurant in Carlisle PA.
We wish Ashleigh & Jeff ALL THE BEST!